Hi my name is Don. 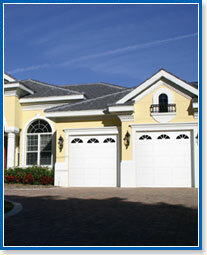 When you need a new garage door, we will make sure that you get your money's worth. I believe in honest and hard work. The doors I supply are carefully chosen to meet all of my strict quality guideline. Make sure to check out the Web Special to get favorable pricing. Amarr's popular Stratford Series offers quality at attrractive price. Like all of the Amarr Garage Doors, Stratford comes with pinchless hinge-panel to make safer and reliable operation of the door possible. Amarr Heritage series are true 24ga doors. offering Limited Life time warranty on its panels. 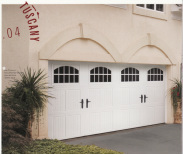 More bold and expressive True Carriage House Doors Style, CLASSICA Series doors defintely turns front face of your of the house extraordinary. Clean inner appearance of the 3000 series doors offers excellent insulation and elegant looks whether from outside or inside. Great selection of carriage design door for more affordable price. Four choices of panel styles are available. Variety of window trims are offered. Wood Grain color options are offered for steelback door trims. The decorative hardwares gives more accent to the door. Amarr's Pinchless door system offers most safe and durable hinge system. 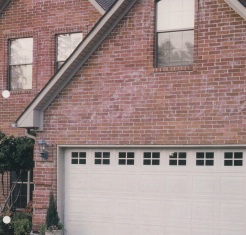 One of America's favorite garage door trusted by many builders for being reliable at very affordable price, Windsor 724 has been installed as one of the best choices for new homes built in the USA.. The SteelWood Collection combines the low-cost and durability of steel with a custom wood appearance. sections are designed to provide years of dependable service.